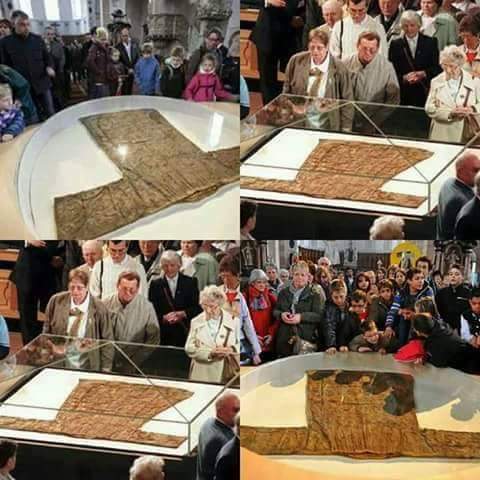 Robe of Jesus Christ Now Viral on Social Media! The Seamless Robe of Jesus also known as the Holy Robe, the Holy Tunic, the Honourable Robe, and the Chiton of the Lord is the robe said to have been worn by Jesus during or shortly before his crucifixion. Competing traditions claim that the robe has been preserved to the present day. One tradition places it in the Cathedral of Trier, another places it in Argenteuil and several traditions claim that it is now in various Eastern Orthodox churches. The tunic is believed to be the garment used by Jesus Christ prior to his crucifixion, quoted in the Gospel of St. John as "seamless." 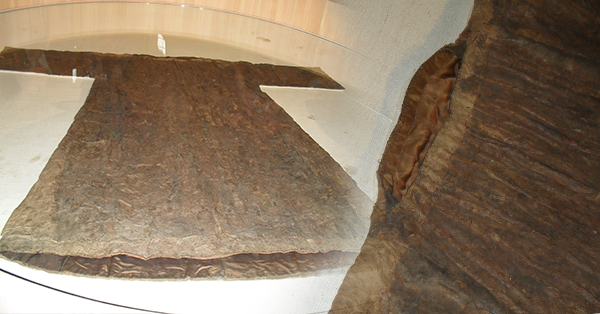 The tunic was last on display in 2006 attracting 700,000 visitors, according to the Trier city website. The display was active two other times in 1959 and 1933. In 1512, Holy Roman Emperor Maximilian I removed the robe from the high altar, where it had been hidden for centuries. Pilgrims flooded the city wanting to see the robe, and there was the first official public showing. Showings of the tunic are between 10:30 a.m. and 9 p.m. free of charge. Art projects, concerts, exhibitions and more will be available during the pilgrimage.